New course launch announcement. Becoming a Certified SolidWorks Associate (CSWA) for Beginners goes LIVE on Udemy. Becoming a Certified SolidWorks Associate (CSWA) for Beginners, is a self-paced learning course that introduces the fundamental skills in SolidWorks 3D design software. Participants of this course will learn core skills in creating part, assembly and drawing documents in SolidWorks. This course not only provides high quality content, taught by certified experts, it also leads into industry recognized certification, the Certified SolidWorks Associate (CSWA) certification. This course is hosted on Udemy, and is retailing at US$99. Participants of the course will have lifetime access to more than 40 lectures, and 5 hours of video content. Once students complete the course requirements, they will be provided access to the Certified Solidworks Associate (CSWA) preparation course, to guide students in attaining the CSWA certification. To commemorate the launch, a special 75% discount is provided to all that sign-up in the month of February 2015. 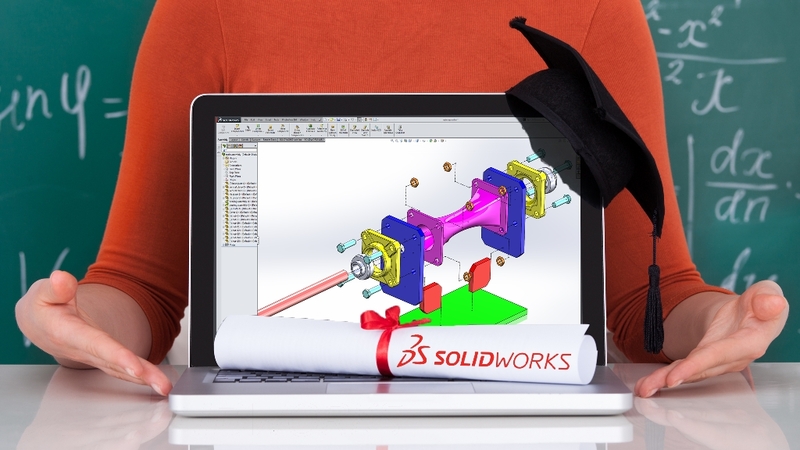 To claim the discount, please click on the course detail page at http://www.udemy.com/solidworks-cswa.